In the decade starting 2010, Arvind Kejriwal emerged as one of the most talked about political figures on various social media sites. Kejriwal is particularly known for being the 7th Chief Minister of Delhi, following his maiden electoral victory with AAP, his own political party. He also played a pivotal role in the nationwide anti-corruption movement against the UPA government, alongside other prominent social activists such as Anna Hazare and Kiran Bedi. Kejriwal was born on 16 August 1968 to Gita Devi, his mother, and Gobind Ram Kejriwal, his father, who was an electrical engineer. Though Arvind was born in Siwani, Haryana, the family’s residence was subject to many location changes due to the nature of work that Gobind Kejriwal had taken up. As a result, Arvind Kejriwal spent his childhood in North Indian towns such as Sonepat, Ghaziabad and Hisar. He attended the Campus School in Hisar, Haryana, and later went on to study mechanical engineering at the prestigious Indian Institute of Technology, Kharagpur (IIT-K). Following his education, Kejriwal took up the job of an engineer with the renowned Tata Steel. He started in 1989 and pursued the job till 1992. He then quit his job to focus on his preparation for the Civil Services examinations. On cracking the examinations, Kejriwal was selected to work for the Indian Revenue Service (IRS), where he worked as a Joint Commissioner in the Income Tax Department in Delhi. He worked for the department till the year 2000, in which he decided to take a two-year hiatus for pursuing higher studies. Kejriwal was granted leave on the condition that he would return after the leave period to work for at least three more years with the IRS. Kejriwal did rejoin the department in 2003, but worked only for 18 months, instead of the stipulated 36 months. He observed an unpaid leave for the remaining 18 months, upon the completion of which he resigned from the IRS in February 2006. Kejriwal later accused the UPA government of using this discrepancy against him during his prominence in the anti-corruption movement. When Kejriwal quit the IRS, he founded and operated an NGO named Parivartan, meaning ‘Change’, which aimed at uprooting corruption from the political and governing system of India. In association with Parivartan, Kejriwal spread a fair amount of awareness among the Delhi public regarding income tax, electricity and food ration matters. He also managed to uncover a fake ration card scam during this time. At the end of the year 2006, Kejriwal was awarded the Ramon Magsaysay Award for Emergent Leadership, for his influential role in the enactment of the Right to Information Act. Upon receiving the award, Kejriwal pledged the prize money towards further development of Parivartan. 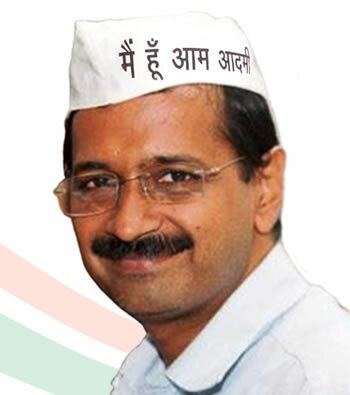 Along with close associates like Manish Sisodia and Abhinandan Sekhri, he was successful in implementing the Right to Information Act in cases of corruption in many government departments including the Income Tax Department, the Municipal Corporation of Delhi, the Public Distribution System and the Delhi Electricity Board. The most important part of Kejriwal’s life was the year 2011, when after a string of revelations of many underhand practices by the government officials, he along with prominent social activists such as Anna Hazare, Shanti Bhushan, Medha Patkar, Kiran Bedi, etc. decided to stage a nationwide agitation against the incumbent UPA government of India. Being part of Team Anna, which was at the centre of this anti-corruption movement, Kejriwal demanded swift implementation of the Jan Lokpal Bill along with other activists. Kejriwal was also appointed by the government as a representative member of the civil society in the committee formed to draft the Jan Lokpal Bill. However, this large-scale movement couldn’t see a befitting end and soon fizzled out. Dissatisfied with the turn of events following the nationwide Jan Lokpal movement, Kejriwal opined that entering the political and electoral battlefield was the next most logical step to take in the fight against corruption. Kejriwal formally launched his very own political party named ‘AAP’, which stands for ‘Aam Aadmi Party’, meaning 'the party of the common man'. He chose the ‘broom’ as his party’s electoral symbol and proposed to represent the common man in the political scheme of things, if his party was elected to power. The Delhi State Elections proved to be the first major test for AAP, which it navigated quite successfully. The party won 28 seats out of the 70 available. Notably, Kejriwal trumped the incumbent Delhi Chief Minister Sheila Dixit in her own constituency by a margin of 25,864 votes. However, the figures of AAP meant that they couldn’t form the government on their own, as the BJP had managed to win 35 seats in the assembly further complicating the scenario. Finally, the Congress, smarting from its defeat, vowed to support AAP ‘not unconditionally’, which allowed the latter to form a government following a hung assembly. 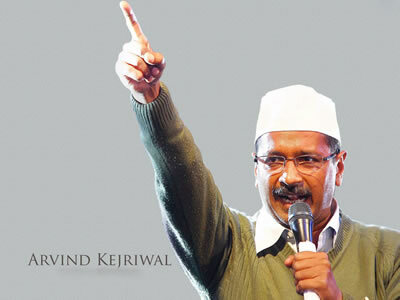 After his party’s successful first outing in the elections, Kejriwal was sworn in as the 7th Chief Minister of Delhi. In his little time as Chief Minister, Kejriwal has sparked quite a revival in terms of the image that politicians have in the country. However, Kejriwal’s biggest test is to be able to negotiate the political incongruities that come his way, while with staying true to his ‘Aam Aadmi’ pledge and image simultaneously.